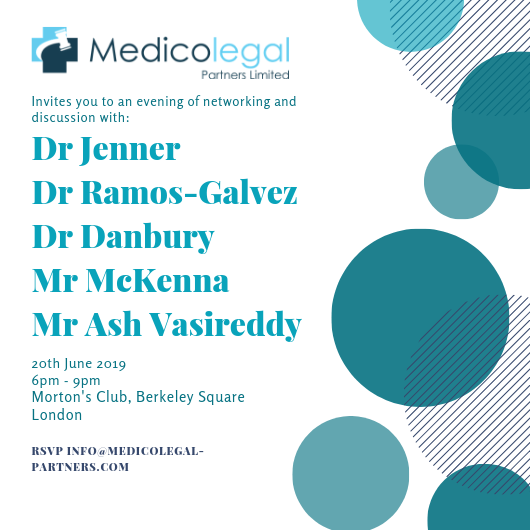 Our annual complimentary medico legal seminar at Morton’s Club, Berkeley Square, London on 20th June, is almost full. This exclusive event is a great opportunity to meet and hear from all of our experts and network with some of your peers. The food and wine is great too! Feedback from our clients is always excellent and the discussions are lively, please contact us if you would like to join us.